The idea of living big in small homes is becoming more popular as more people look to live in smaller, more manageable spaces. 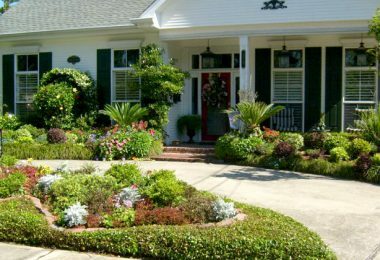 The allure of large houses has been slowly eroded by the accompanying high bills and maintenance requirements. However, while some people’s idea of smaller is downsizing from a five bedroom house to a two bedroom apartment, there are those who are thinking even smaller. This is what makes small mobile homes such a big thing at the moment. 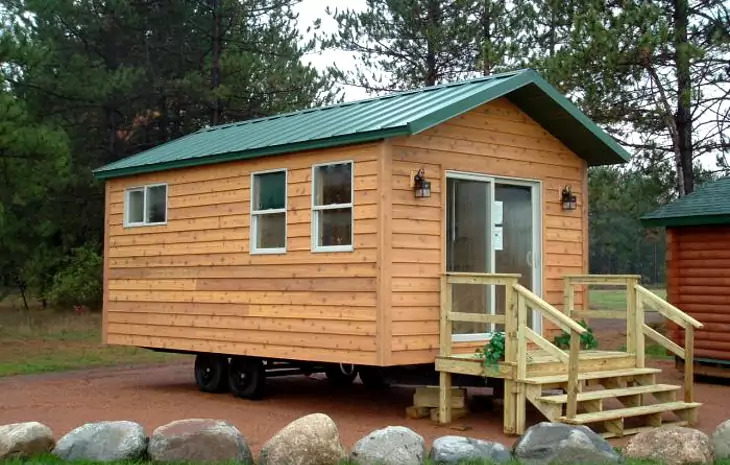 While regular mobile houses are usually meant to serve as a substitute for stick-built homes, small mobile houses are taking everything a step further. 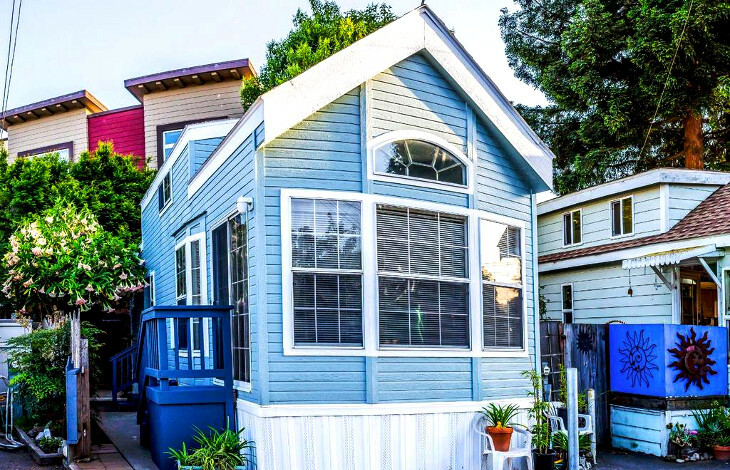 These homes are less than 1000 square feet in size and some (tiny houses) even go below the 400 square feet mark. As cramped as this may seem to others, there are those who are thriving in these small spaces, giving rise to many new trends that are redefining life in small homes. Despite being referred to as mobile homes, for many people manufactured houses are more or less a permanent home. This means that although the houses are designed to be moveable, many of them are moved only a few times in their lifetime. Moving a regular mobile house is expensive. According to moving.com, the total cost of moving a single wide home will be thousands of dollars even over relatively short distances. The chances of a regular mobile house getting damaged during the moving process aren’t insignificant. 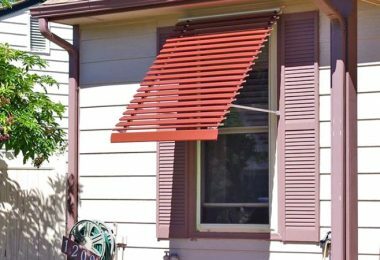 A less than cautious mover, an unexpected storm or poor road conditions can lead to a disaster for the homeowner. Older mobile homes are especially prone to damage and can sustain cracks in the walls and ceiling when moved even under the best conditions. Permits and licenses for moving a mobile house are necessary for many jurisdictions. These bring additional expenses and may need time to process. Moving a regular mobile house also requires a lot of planning and coordination. The mover must be ready on the day of the move, the weather must be right, the lot must be ready at the destination, prior notice must be given at the lot where one is moving the house from, utilities must already be detached, Furniture and appliances must be out of the house, the wheels and axles must be in good enough condition to survive the move etc. With all these possible challenges, it’s no wonder mobile home owners aren’t so keen to move just because they feel the need to try out life in a new environment. On the other hand, a small mobile house offers a lot more flexibility. 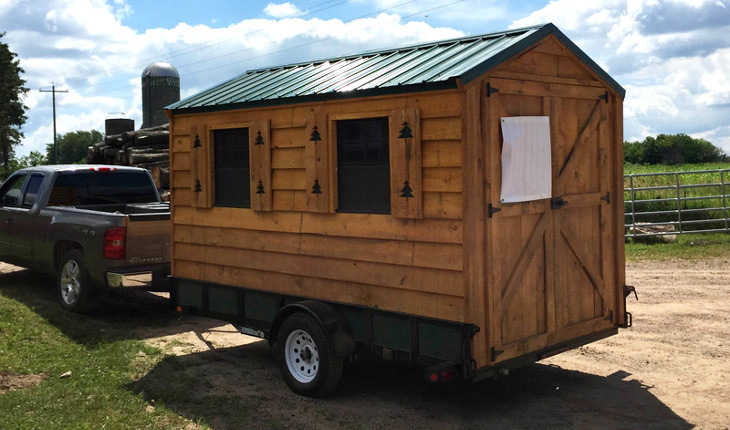 Moving a small mobile house can be done using a four-wheel truck. This means that if you or someone you know owns a truck, all you’ll need to do is hook up the small house to the truck and you can move it by yourself. This saves you thousands of dollars that you would have to pay movers. You’ll still have to get certain permits when you move the house but the sizes of these mobile homes make moving them no more complicated than moving a trailer RV. 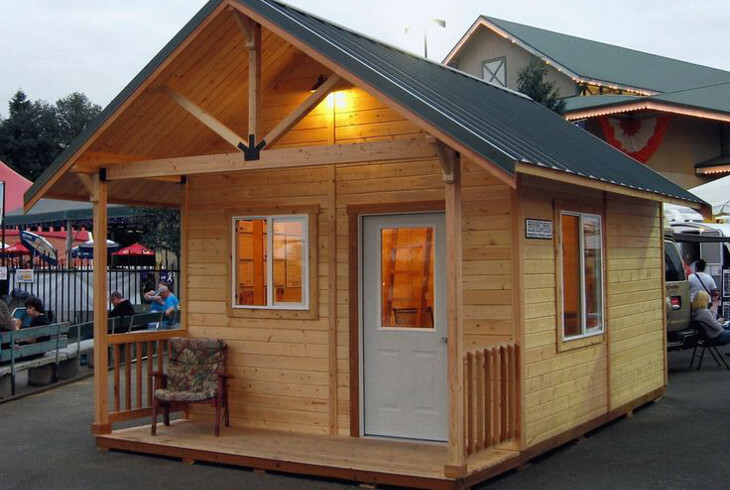 A truly mobile small home is a great idea for people who want to sample life in different environments. 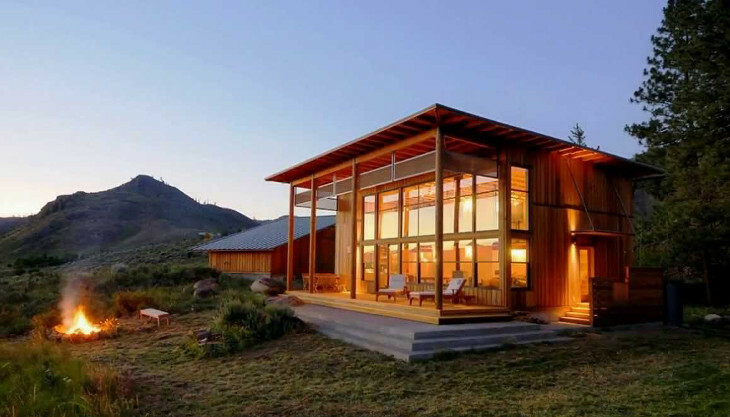 The small sizes of the homes make it easy to find a place for it in different locations. Whether you want to spend a summer in the mountains or by the lake, finding space for small mobile houses is never a problem. If you’re looking for a small home that will be more mobile than a regular mobile house, it’s better to start at the design level. The house structure and or materials are more robust. 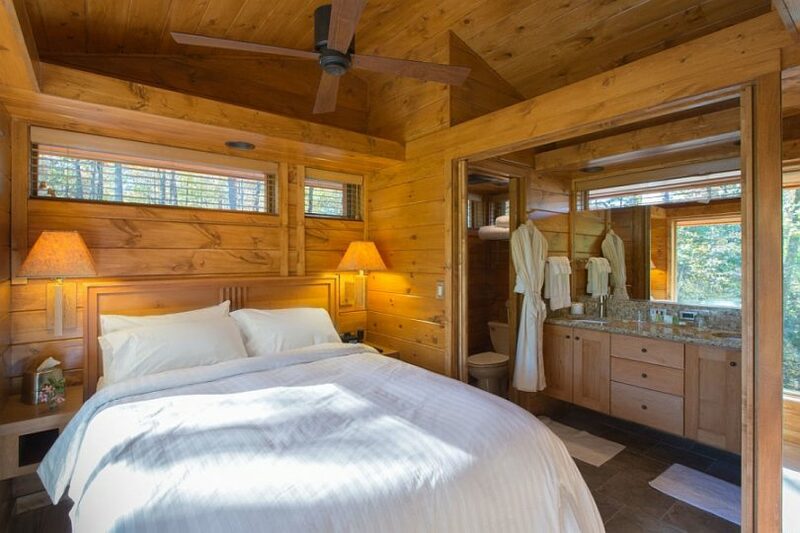 A house that will be on the road often will need to be able to put up with the rigors of road travel. 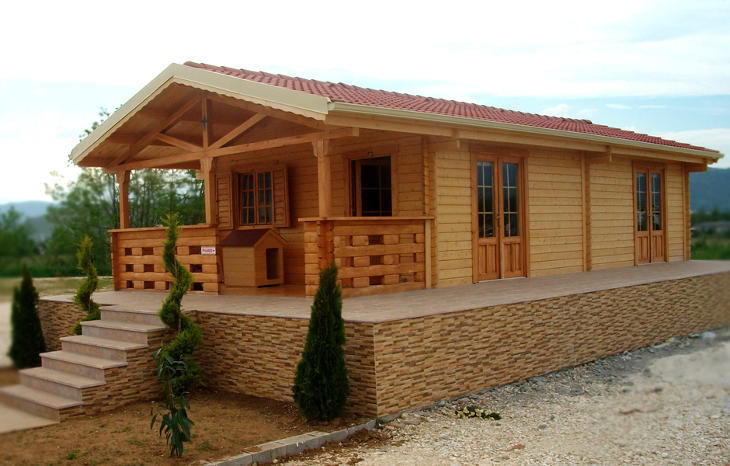 The compact structure of small mobile houses makes it easier for them to be robustly built. You can also ensure that the materials used are strong but light. Less weight on the axle during moves makes it less likely to break. You can have more built-in furniture. Most of the things inside a regular mobile house, especially the heavy furniture must be taken out before the house is moved. Heavy furniture shifting around at every turn can get damaged or worse, damage the walls of your house. You don’t have to worry about built-in furniture moving about. The house width and height allow for easier moving. 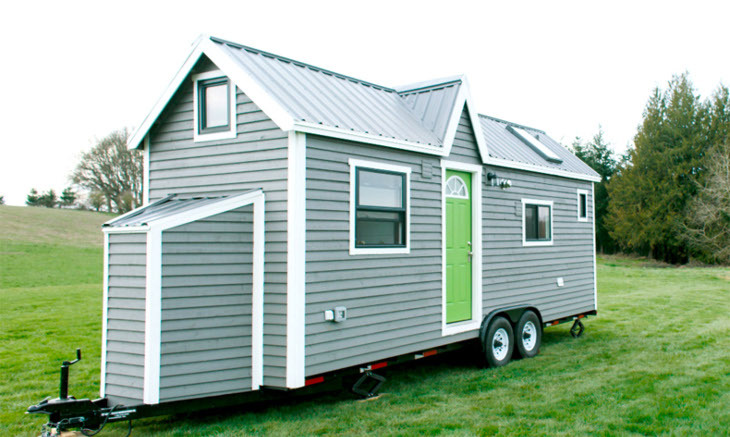 According to tinyhousedesign.com, you will need a special permit in most states if your house exceeds 13.5ft in height, 8.5ft in width and 40ft in length. The design stage is where you can get this right and ensuring that the width of your house is less than 8.5ft will mean that you won’t need the wide-load permit. Your house must have a way of restraining furniture and appliances during the move. Having to remove appliances and furniture before moving your house is quite inconvenient. Apart from the hassle of moving the stuff in and out of the house, you’ll also have to arrange for the stuff to be moved to your destination. This is expensive and very inconvenient. You can instead design your house so that it’s easier to restrain your stuff in the house while it’s being moved. Creating alcoves for certain furniture and appliances, a lip in some part of the floor and built-in hooks and loops can all make the task of restraining things in the house simpler. Lofts were once just a way of coaxing a little bit more space from a house or a building so you could get an extra room or storage space. In small mobile houses, however, lofts are proving to be essential when trying to make proper use of the available space. In small mobile houses, space is one of the most important things due to the restricted amount of floor space. 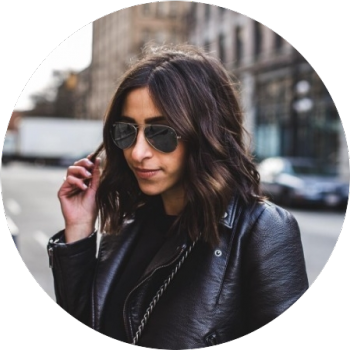 Even people accustomed to living a minimalist lifestyle may find that there’s very little room a bedroom, kitchen, living room, and bathroom on the floor. The solution, of course, is to go up and this is where lofts come in. Bedroom: The use of lofts as bedrooms is not new but it’s still one of the best uses of these spaces. A bed takes up a lot of space even when you’re not using it. Being able to get it out of the way opens up a world of possibilities. Even with limited headspace, a loft can still function quite well as a bedroom. The space underneath this loft can then be used for other things such as an office, a bathroom, living room/guest bedroom etc. The location of the loft also provides the occupant with plenty of privacy even without a wall. Living room: Whether a living room is essential to your needs or not, having one in your house isn’t such a bad idea. Putting it in the loft can be an excellent idea if it’s done the right way. You’ll need a little more headspace, in this case, to make it easier to sit and move around. This could mean increasing the height of your tiny house or putting in appliances or furniture in the space underneath the loft that don’t need all that height e.g. washer/dryer, bathtub etc. You can make your loft living room more interesting by putting in a skylight or large windows so you can admire the outdoors from higher up. For those of us who are not minimalists, the lack of storage space in a small mobile house can be a nightmare. However, the loft area can provide you with all the space you need to put your extra stuff when you move into your small home. You can have the storage space in the loft customized to your needs e.g. shelves, drawers, hanging rods etc. Although there are no restrictions to what you can turn your loft into, you have to keep in mind that accessibility is an issue. Carrying heavy furniture or appliances to the loft may be a hard task so you’ll want to avoid this. Lofts are usually accessed using ladders or steps. Putting in stairs can be challenging without the right amount of space and ladders or stairs without railing can be a problem for many people. Many people have thought of going off the grid at some point in their lives even if it’s just for a few months or years. 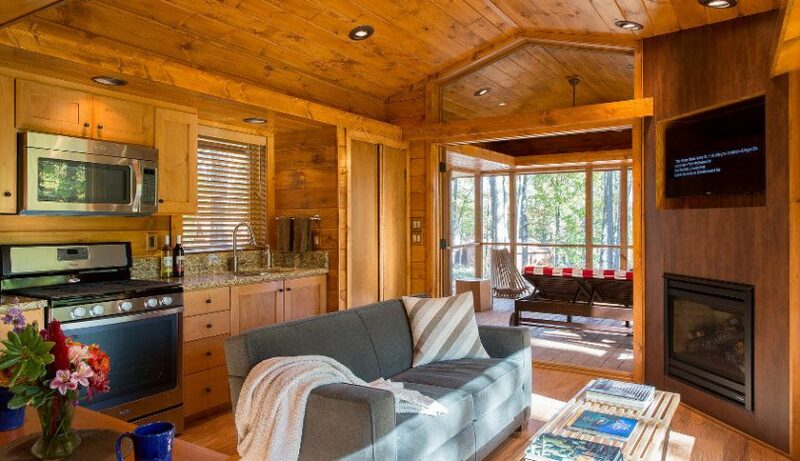 The challenge of going off-the-grid is that you may still want certain modern comforts. Small mobile houses have made it possible for many people to enjoy life away from the hustle and bustle of urban areas. With the right additions to your mobile house, you too can find out what it’s like to live life in untamed areas. Composting toilet: If you’re going off-grid, one of the things you’ll probably have to do without is regular plumbing. With minimal water available, you can’t afford to use a regular flush toilet. Composting toilets are your best bet. These toilets use minimal or no water except during cleaning and this makes them a good choice when you don’t have water for flushing. Water harvesting system: When you’re off-the-grid, you have to make the best use of what’s available to you. If there’s no nearby source of water, a rainwater harvester will be a life saver. Systems for collecting and storing rainwater are relatively inexpensive and you can even install them on your own. A few gutters on the roof and a tank are all you really need to add to your mobile house. Ensure the gutters are easy to remove when it’s time to move the house. 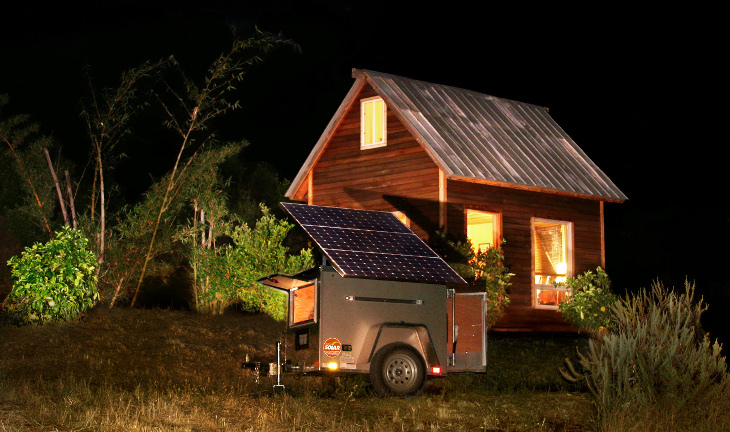 Solar power system: This is the hallmark of living off-the-grid. If you don’t have a solar power system it means you’re either still on-the-grid or you’re in the dark. Solar power has come a long way since we first started using it. With increased efficiency and lower prices, it now makes a lot more sense to get a solar power system. If you’re planning to go off-the-grid for a long time, you’ll need the best systems available. The best move is to get in touch with companies that manufacture these systems. You could also go to eBay instead. A good system could cost you several thousand dollars but with no other source of electricity, it’ll be worth it. 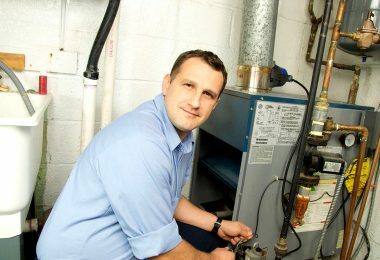 Water heating system: Before you even think about it, you need to quickly rule out using the limited electricity from your solar power system to heat water. However, hot water can be less of a comfort and more of a necessity depending on the weather. If you’re moving to a place that can get very cold, you can explore other non-electrical water heating systems such as solar water heaters and gas water heaters. Many small mobile houses will actually come with a propane water heater. Water filter: It’s hard to oversell clean water and even when you’re going to live near a water source, you need to know for sure that the water you use is safe for drinking and cooking. There are many mobile home water filtration systems that you can choose from. Some of these systems are portable while others are built into the house. Sometimes, living with pets, even in regular houses, is a challenge. In the limited space of small manufactured homes, this problem becomes more pronounced. There are many people who don’t want to leave their four-legged friends behind when going small. 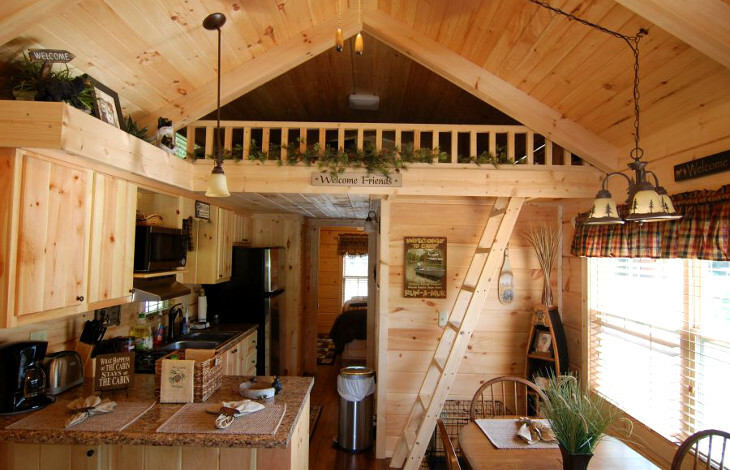 Many people have therefore come up with a few ways of making life in small mobile houses easier even with pets inside. Sleeping arrangements: If your pets are used to sharing a bed with you, it may not be easy for them to adapt when you move up to a loft. In this case, you can ensure the loft bed is easily accessible to them by going for stairs instead of a ladder. If your pets are used to sleeping in their own beds, finding a space for the bed will be the challenge here. You can convert one or two lower cabinets into bed space for your pet by removing the doors or sidewalls and putting in the bed. You can also put the bed under a chair if the dog can fit comfortably. The Litter Box: Unless your cat is used to going outside, you’ll need to find space for the litter box too. In a small mobile house, this is a challenge because cats prefer if the litter box is in a quiet area with minimal foot traffic. You can use specially designed cabinets to hide the litter box. Remember to keep the area well vented otherwise your cat may not find it so appealing thanks to their sensitive noses. Climbing space: It’s not a coincidence that cats turn up in high places, they love to climb (according to pet place). You have to create cat shelves and perches in your small home if you don’t want your cat to keep turning up next to your pots and spices on the kitchen shelves. Pet feeders: With the limited walking space in a small mobile house, you need a convenient way of feeding your pets without the risk of someone stepping on their plate later on. One easy solution is to install a pullout feeder in one of your cabinet’s toe kick. This simple feeder will pull in and out like a drawer and the dishes should be removable for easy cleaning. 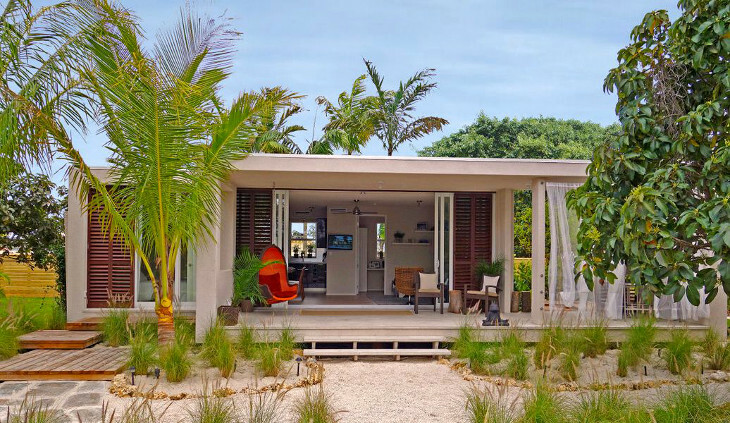 There is a lot of exciting stuff happening in the world of small mobile houses. As more people warm up to these spaces, new ways are being discovered to make them more homely. These small houses are making it possible for people to live truly mobile lives thanks to the improved mobility that comes with their size and people are also learning how to turn the various spaces in these houses into functional living areas that help address the lack of floor space. 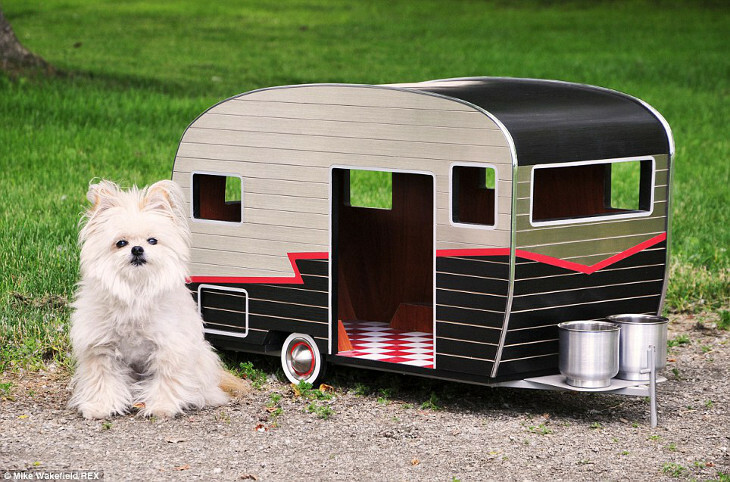 Those who wish to explore life in remote areas have also found it easier to do so with the smaller mobile houses after making a few additions and modifications and pet lovers are finally finding ways to help their pets adapt to the new way of life. 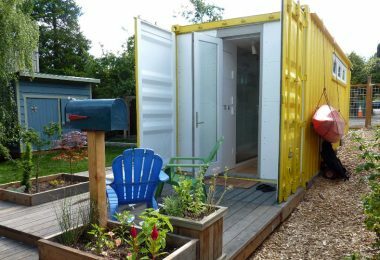 With these and other mobile house trends gathering pace, life in small mobile houses is sure to be quite interesting in the future.